Yeeeyy!!! Thank God it's Friday! 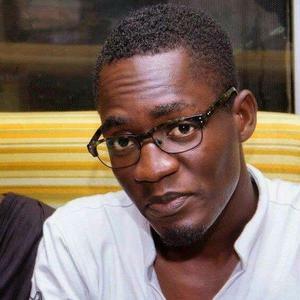 Let the fun begin here with Nii Ayi Solomon, our poetry personality of the month. For the month of June, we'll be enjoying some poems from him every Friday on FLOATED THOUGHTS. Nii Ayi Solomon lives in Accra, Ghana and is a published Poet and playwright. He uses his form of poetry to tell the story of the African and how unique they are. His poems have been published in web hosting literary magazines some of which include the U.K Poetry Library, Kalahari Review in Botswana, just to mention a few. Some of his plays include the love of Mamavi, Homeless and the Barber and the Apprentice. He is the Creative Director at Village Minds Production, and holds a Bachelor’s Degree in Business Administration from the University of Ghana Business School (UGBS) and an HND in Tourism from the Cape Coast Technical University. He is a firm believer of excellence and currently working on his novel.